SCA Log Arches 1978 - Outing of the Student Conservation Association in Arches National Park , Moab, Utah. The log book of hand written and copied accounts of a trip to 'Arches National Park ' in Moab, Utah. I believe SCA refers to 'Student Conservation Association', logo t-shirts can be seen in the 1 photograph of the group in front of a tent and some scrubby pines, likely Pinyon pine trees which are indicitive of that area. 31 pages of writing mostly by 'Jo' and 'Matt' followed by recipes, lists of animals and plants/flowers encountered. Some cute line drawings and several games of Hangman are also included. Pages are in archival pouches and secured into a binder of stiff green paper with clasps, edges protruding and could usa a larger binder, otherwise in fine condition. Different and interesting. . Bagged & Boarded for Posterity. 3 books, 1 by the dept. of tourism, 1975, 1st printing. The other 2 by Stan A., both 1st edition/printings. All nicely illustrated with photos and maps. VG to NF condition. . NF. Bagged & Boarded for Posterity. Nepal Trekking Guidebooks Series: No. 1-3 - Trekking to Mt. Everest and Solu-Khumbu / Trekking North of Pokhara / Trekking North of Kathmandu . 3 Early GuideBooks on Hiking in Nepal. 1975 & 1976. BONUS BOOK: Hiking in Zanskar & Ladakh, 1985 Mostly Maps All near fine. . Bagged for Posterity. 1951 22 illustrated pages, quite worn, covers loose and chipped. As Is. . Bagged & Boarded for Posterity. Littleton, New Hampshire, U.S.A.: Bondcliff Books, 2013 Flat signed by Dan on the title page. . Signed by Author. Near Fine. Bagged for Posterity & Preserv. 1966 Tri-fold pamphlet, map inside of the trail. Light green wraps with photo of a boy and mom? fishing from a rock in a river. .
Baxter Park Authority, 1960 16 page photo illustrated brochure, oversized (Trade) stapled wrappers, color front and rear covers. Good with a bit of something stuck to the FC, we have others that are NF and fine. . Near Fine. Illus. by Assorted Photo Illustrations & Map.. Bagged & Boarded for Posterity. Baxter Park Authority, 1960 16 page photo illustrated brochure, oversized (Trade) stapled wrappers, color front and rear covers. Good with a bit of something stuck to the FC, we have others that are NF and fine. . Illus. by Assorted Photo Illustrations & Map.. Bagged & Boarded for Posterity. Camping in the New England Mountains . First Edition in Dust Jacket, 1952. Hand-Lettered. Falmouth Publishing House, 1952. Hard Cover. Condition: Very Good. Dust Jacket Condition: Good+, Light Edge Wear. First Edition. A delightfully illustrated and hand-lettered book, you will love the look of the text I am sure. Includes the original DJ and a Glassine 2nd DJ underneath. . 4to - 10 1/2" Tall. Archival Wrapped DJ. Falmouth Publishing House, 1952. Hard Cover. Condition: Very Good. Dust Jacket Condition: Good+, Light Edge Wear. First Edition. A delightfully illustrated and hand-lettered book, you will love the look of the text I am sure. . 4to - 10 1/2" Tall. Archival Wrapped DJ. Yankee Rock & Ice: A History of Climbing in the Northeastern United States . Signed By the Author. First Edition. By Waterman, Guy and Laura. Stackpole, 1993 First Edition with number line. Owner name and gift inscription to front end paper, also a little owner sticker. 334 illustrated pages. The Waterman's signature is quite scarce. Flat signed beneath the printed name on the title page. . By the Author. Hard Cover. Near Fine/Near Fine. San Francisco, California, U.S.A.: Sierra Club Thanks for Browsing, We find Great Pleasure in Bringing you the Following: Sierra Club HANDBOOK 1960 by The Sierra Club A Near Fine condition example of this issue, mild wear. Original wrappers, perfect bound. Many Glossy Photo pages by Ansel Adams. Other photo pages including first president John Muir. 118 pages in all. . Near Fine. Mountain Search and Rescue Organization - First Printing, 1948. By L. D. Bridge (Lawrence Drake Bridge) Chief Guide, Tararua Tramping Club. Wellington, NZ: Tararua Tramping Club, 1948 Very scarce booklet that preceeded the author's well-known title: 'Mountain Search and Rescue', 1960 by 12 years. We also have his other title: 'Safe Climbing', 1947 original. . First. Photo Illustrated Wraps. Near Fine. 12mo - 7.25" Tall. Bagged & Boarded for Posterity. Knots for Mountaineering. Camping, Climbing, Utility, Rescue, Etc. 3rd, 1975.
third edition ststed, 1975. . About Fine. Bagged & Boarded for Posterity. Safe Climbing - First Printing, 1947. Wellington, NZ: Tararua Tramping Club, 1947 Very scarce booklet that preceeded the author's well-known title: 1960 by 13 years. 30 pages illustrated, + covers. Very good with a light center fold, edge wear/chipping. Illustrated with photos and drawings. We also have his other title: 'Mountain Search and Rescue', 1948 original. . First. Photo Illustrated Wraps. VG. 12mo - 7.25" Tall. Bagged & Boarded for Posterity. Denton Printing Company A True First Printing, May, 1950 By Denton Printing Company. Original light blue stiff wrappers, 20 pages + covers. Binding is a bit offset, edges light sunning, photos available. Extremely scarce bit of Adirondak Trail ephemera which has been now reprinted by Ausable Press............this is NOT that printing. . Bagged & Boarded for Posterity. 1899 The Highest Andes: A Record of the First Ascent of Aconcagua and Tupungato in Argentina, and the Exploration of the Surrounding Valleys . First Edition, 1899 by Edward Arthur Fitz Gerald Methuen, London, 1899. Hardcover. Photographs/plates/map. Partially unread with some uncut pages. Original red cloth bds, gilt top edge. Large folding map in the rear 'Sketch Map to Illustrate the Route of the Expedition to Aconcagua and Tupungato 1896-7'. Book Condition: Good, some foxing, and small upper spine corner stain to 3 pages in the front, Some library marks 'Appalachian Mountain Club' stamps on the inside of the FC and first blank, and in pencil "Gift estate of Ralph Esterquest, 1969", remains of a spine sticker, slight lean. NOTE: Ralph Theodore Esterquest (1912-1968). Obit from 'The Crimson', a Harvard periodical: Ralph T. Esterquest, Harvard's Medical Librarian since 1958, died Saturday at the age of 56. For the past year, he was on a leave of absence from the Francis A. Countway Library of Medicine, during which time he established and organized a Washington, D.C. headquarters for the American Library Association's international office. He was scheduled to return to Harvard September 1. Esterquest was the first librarian of Countway, the largest university-owned medical library in the country. . Good. The National Geographic Magazine - May, 1912. Complete and in very good+ condition. .
Vertical Brain Publishing, 2001 Much larger than the first edition by about 70 pages at 144 pages. 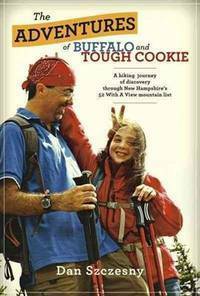 The ONLY extensive guide to this popular rock clinbing area in Northern, NH. Many good technical climbs as well as ones for the novice and intermediate clinber. Small tear at cover corner edge along with slight crease from same area. Contents and rest of book are fine. Nicely illustrated with many maps. A very limited printing 15 years ago. Quite scarce, but fairly reasonable at the Book Moose in Lincoln, NH, just around the corner!. Bagged for Posterity.